“Strange Magic” Recipes to Enjoy Before the Movie! 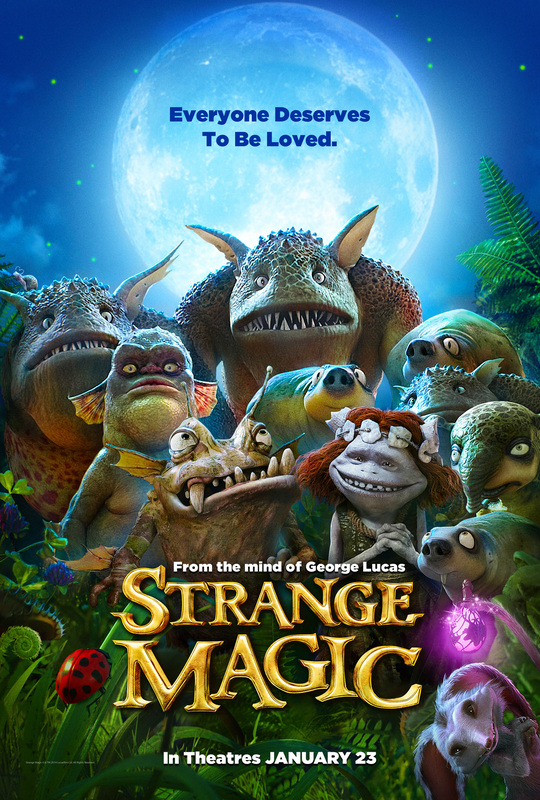 Leave a Comment on “Strange Magic” Recipes to Enjoy Before the Movie! Excited for the release of George Lucas’s new film Strange Magic next week? Then we’ve got just the thing for you! Four recipes straight from Strange Magic that’ll show you how to make some tasty treats while you get ready to check out this great movie! Whether you’re in the mood for relaxing with a Strange Magic Potion or Strange Magic Hot Cocoa, or just having a bunch of delicious desserts like the Strange Magic Bog King Mud Pie or Strange Magic Cookie Bars (both pictured below), you can click on any of the treat names for a full recipe, including a Strange Magic Twist to make each of these sweets even more special! “Strange Magic,” a new animated film from Lucasfilm Ltd., is a madcap fairy tale musical inspired by “A Midsummer Night’s Dream.” Popular songs from the past six decades help tell the tale of a colorful cast of goblins, elves, fairies and imps, and their hilarious misadventures sparked by the battle over a powerful potion. Lucasfilm Animation Singapore and Industrial Light & Magic bring to life the fanciful forest turned upside down with world-class animation and visual effects. Directed by Gary Rydstrom (“Toy Story Toons: Hawaiian Vacation,” “Lifted”) from a story by George Lucas, “Strange Magic” will be released by Touchstone Pictures on Jan. 23, 2015. Stay tuned to NYCityGuys for our review of the movie, coming soon! Next Entry The Venture Bros. Hour-Long Special Premieres Tomorrow!